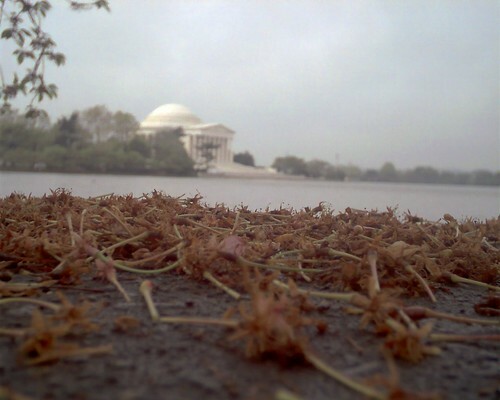 Fallen, withered cherry blossom stems litter the walk around the Tidal Basin. The cherry trees are simple green-leafed trees like any other now, and will be so till next Spring. 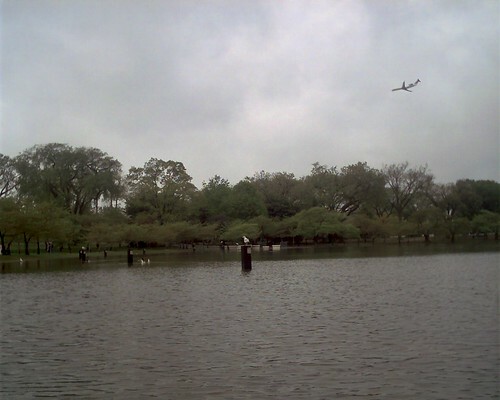 High tide and pre-storm river surge have swollen the Potomac so that the Tidal Basin has flooded its lower-lying banks near Jefferson Memorial. The poles sticking out of the water mark what should be a waterside walkway. Photos taken with an Oregon Scientific Thincam.